The 3 Collections by name are; Rose Petal, Coffee Break, and Sea Shore. Now there are 6, 12 count multi color Artist Marker sets; A,B,C,D,E and a Primary color set. Altenew also has sets of four markers in single Collections released for purchase. 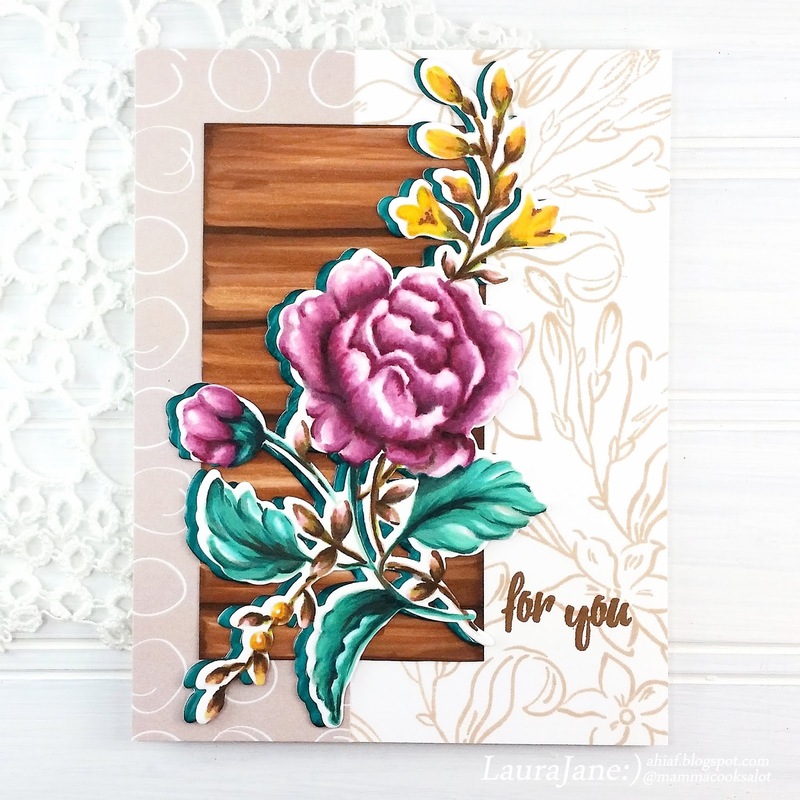 First up I have a card featuring a Shiplap/Farmhouse wood background created with the rich Coffee Break browns in Set D. Inspired by Dawn Woleslagle, who shared awhile back how to create the look with distress inks, I wanted to see if I could create a similar background with markers. I LOOOVE how it turned out and share a quick video on my YouTube channel on coloring the background. 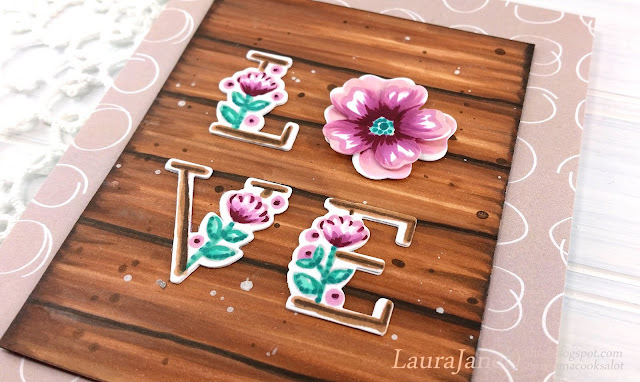 Spelled out L-O-V-E using both Floral Alphabet Stamp & Die Bundle and Heart Flowers Stamp & Die Bundle each colored with all the colors from the New set. Here is the video of how to make the Faux shiplap/wood panel. You can watch below or at my You Tube Channel in HD. 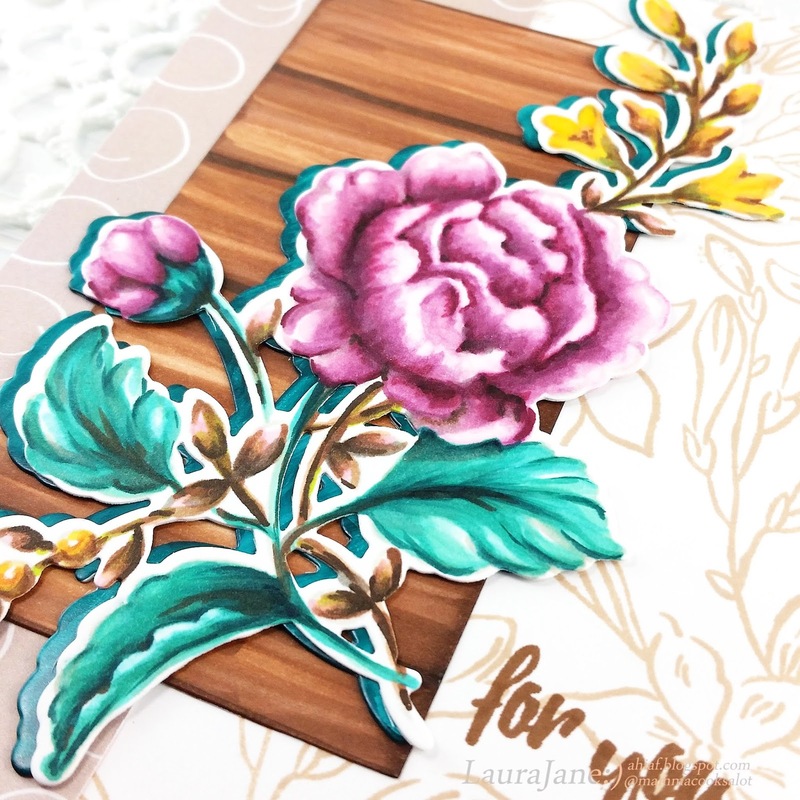 Wanting to really play with all the colors together, from the new Artist Marker Set D, I stamped the beautiful Handpicked Bouquet onto Neenah Solor White and enjoyed some coloring therapy for the next card. Can you see that interesting mottled look on the petals of the rose bloom? That is achieved by using the Artist Markers Colorless Blender. I like the softness that it gives to the image. I created another wood panel, this time with the Sea Shore collection markers. Remember to watch my video on how to create your own faux shiplap. Talk about Zen coloring, making these panels is Quick and FUN! Because I do LOVE coloring along with Kathy Rac and #TheDailyMarker30Day coloring challenge: My last card is a One Layer inspired by Altenew DT member, Erum Tasneem. Keeping an image mostly white is a challenge that I like to try every once in a while. The Gorgeous flower from Beautiful Day Stamp Set is the star of this one using the soft shades from Sea Shore collection. Two flowers and leaves on ether side are from the Floral Shadow Stamp Set, colored with the Rose Petal and Coffee Break Artistic Markers from Set D.
Softly inked the Watercolor Stripes Stencil with Rocky Shores from the Coffee Break Mini Cube Set. Splattered clean water for some interest. Lifted the stencil off and inked the outlines images, found in the Beautiful Day Stamp Set, repeatedly, inked with Mocha. Also from the Coffee Break Collection. 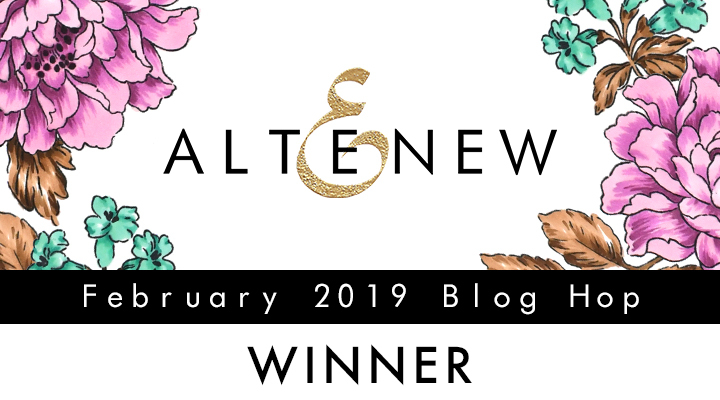 Altenew has graciously allowed me to draw a winner, from comments left here on my blog, to receive a $30 gift certificate! I will announce the winner 2/15/2019. Your video was fun & easy to follow thank you. Like all your cards especially the love story. Thank you for sharing cards & how to video. Congratulations Andrea! 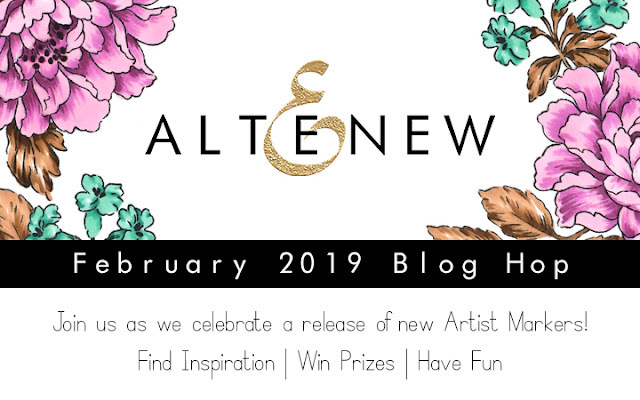 Please contact winner@altenew.com by 2/28/2019 with the subject line 'Altenew 2/7/2019 Release Blog Hop Winner from LauraJane's Blog'. Your next stop on the hop is Svitlana Shayevich. 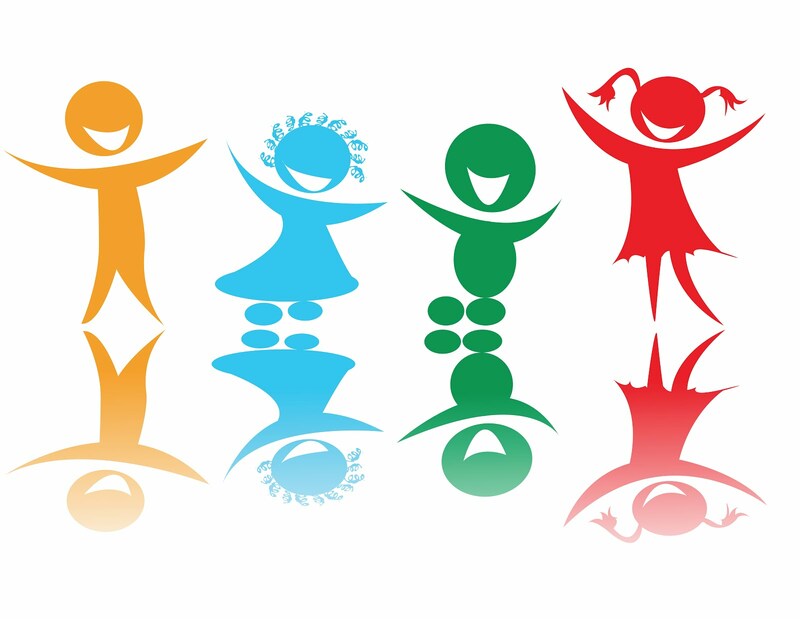 Hope you are inspired to create something you LOVE! or $5 OFF international shipping with code : SHIP7OFF at checkout. 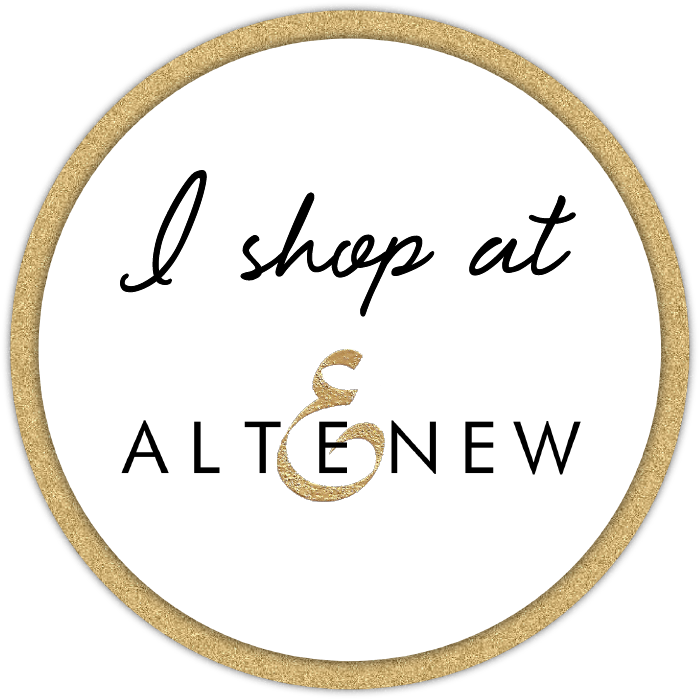 Current Altenew Promotions Page: find all the current deals and promotions at Altenew in one place! Beautiful cards !! 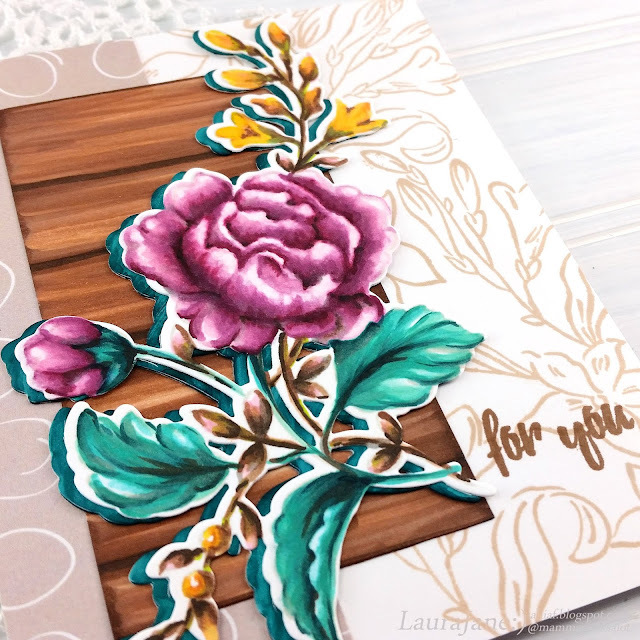 Loved the faux woodgrain BG and the last one layer card is a stunner ! All the cards are so beautiful. Thank you. Gorgeous cards! I just love every one of them! Beautiful cards! I love your wood grain look technique! Thank you for sharing! 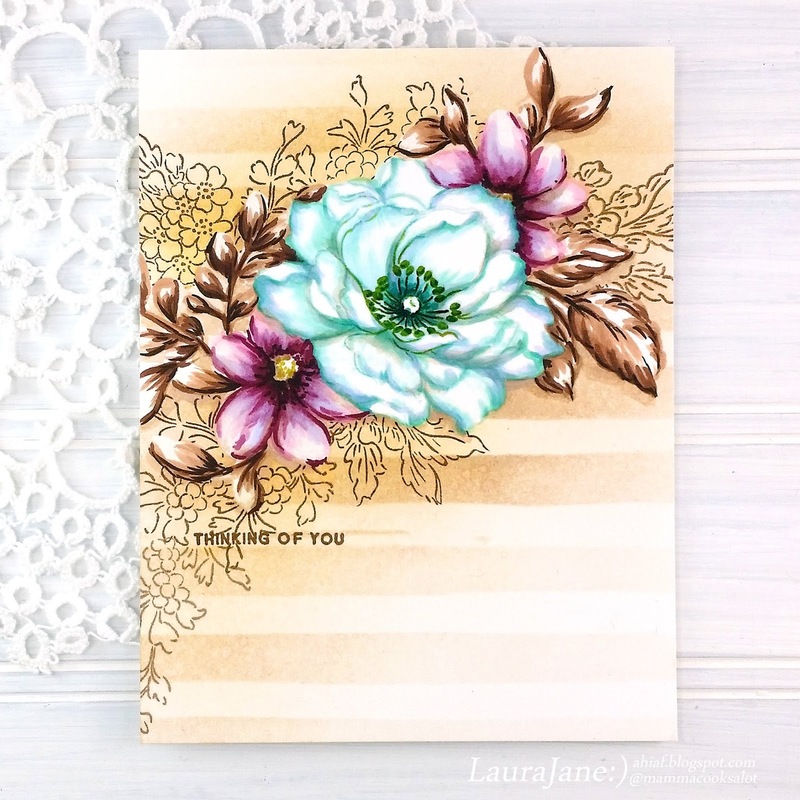 Each one of these cards is just stunning, Laura Jane! But the last one using the Beautiful Day stamps has my heart! I love ALL of these beautiful cards! The blend of colors is so flawless and the bright pops of teal really look amazing! So unique. Love the cards. Such unusual backgrounds. Love the Altenew markers Set D colors and the lovely cards you made. You are so good at producing woodgrain ... making your cards unique and beautiful! Oh my goodness! How gorgeous your cards are! Love the faux shiplap panel you have created! Thanks for sharing how to do video too! So amazing! 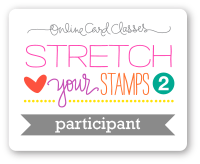 Your one layer card is a dead-drop gorgeous! Such striking, rich colors - thank you for sharing! 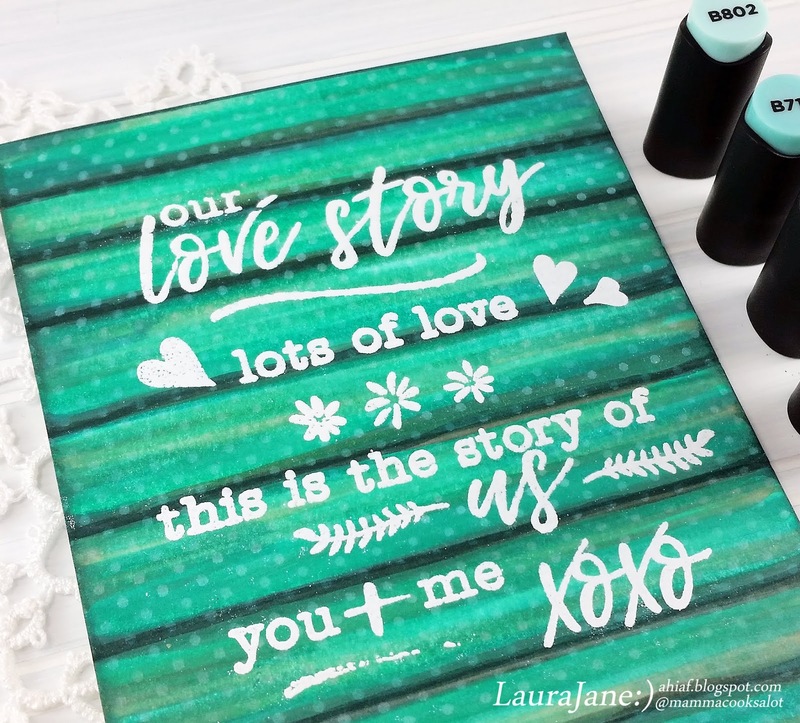 Love this new collection and enjoyed your wood panel, especially with the sentiment stamped on it. Oh my gosh, I love farmhouse anything. I'm so going to go try and make a card with Shipley background! I just love all of your cards, they are fantastic! Definitely gained some inspiration here. Thanks for Sharing. You were a busy woman!!!! These are all beautiful!!!! I especially love that wood background,.pretty coloring. Thank you so much for sharing.....I love this new marker set! Hugs! Gorgeous cards - I do love the contrast of the wood look behind the blooms. I also love the fading back look of the last card, with colourful blooms, then the use of the brown tones of the foliage in behind them! Oh my! Four stunning cards ... but the way you made the "Beautiful Day flower" shine blew me away! Thanks for the great inspiration. Beautiful use of the new release colors! I especially like the second and fourth cards. 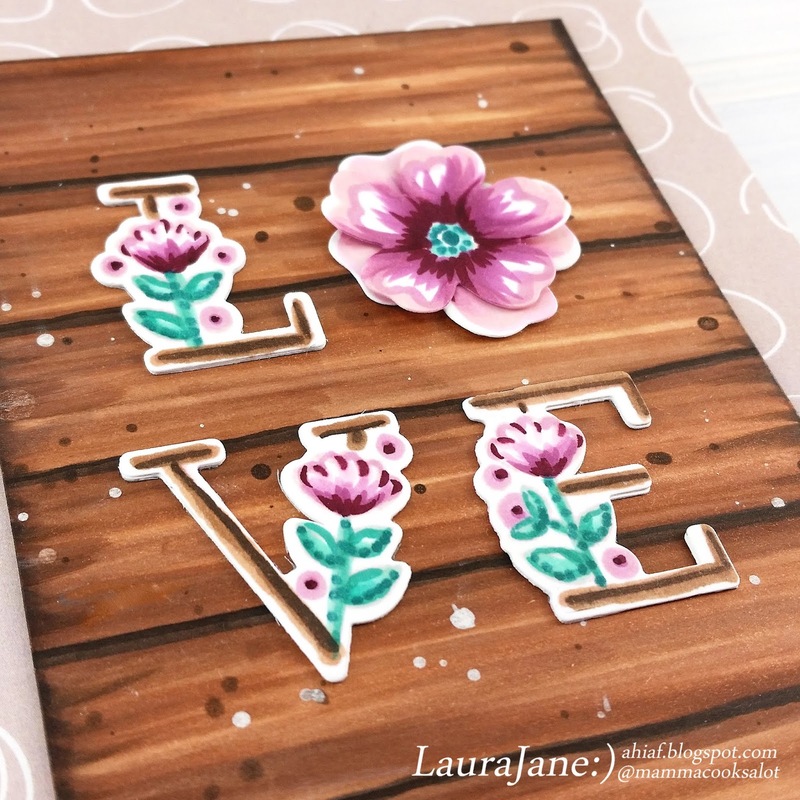 Simply gorgeous creations, Laura! Love the woodgrain backgrounds! Thanks for all the inspiration & the great videos! Very unique cards and I love the wood-grain background with perfectly colored blooms. Oh my goodness! You’re the IT shiplap/farmhouse girl!! You’re ideas & creations are just beyond my imagination. 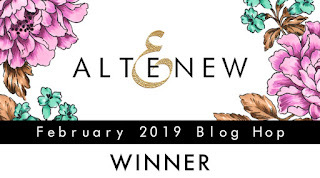 You rock at the February 2019 Altenew hop! They are all lovely, I adore the wood background. Beautiful coloring, especially on the teal and white. So gorgeous! TFS! Your work is stunning. Love the shiplap technique. That last card is a show stopper! Just beautiful. Thank you sharing your amazing talent with us!! All creations are so wonderfully and definitely creatively made. Your work is an inspiration. Thanks. Beautiful cards, beautiful colors. Your backgrounds are amazing. Beautiful cards! Thanks for all of the inspiration! WOW WOW WOW! Your shading and coloring is SOOO INCREDIBLE! I just love the colors and design! Such gorgeous colors! 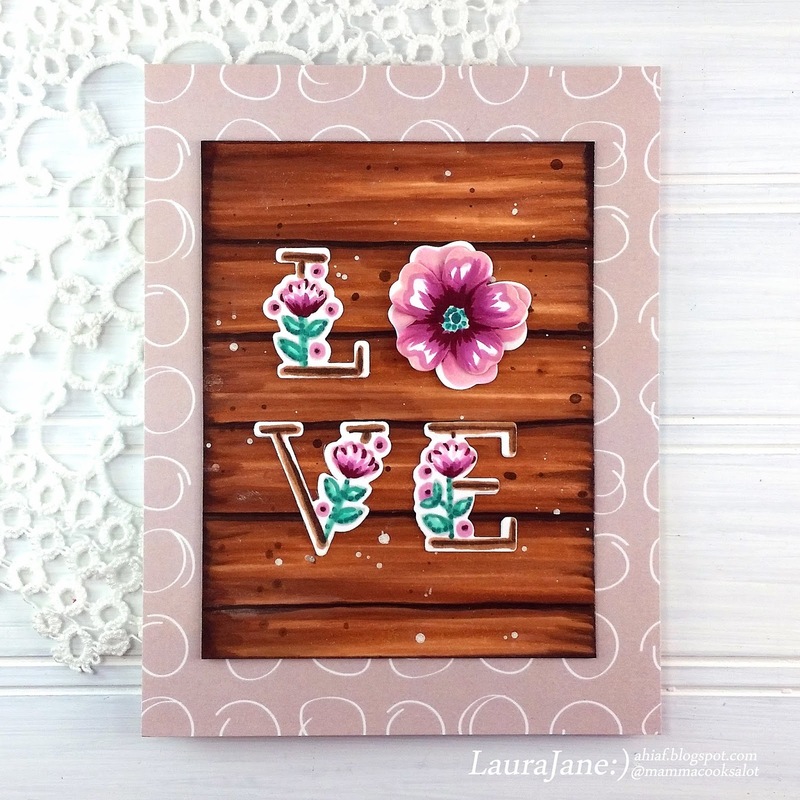 Love your cards Laura Jane, they are so pretty! Thanks for the inspiration and the video, it is always appreciated! Of the 3 cards my favourite is the last,but there all lovely x. Very Cool Beautiful card/colors! These markers sets are jewels just like the flower sets! I love the wood panel! Thanks for the video. Wonderful cards and great backgrounds. Love the colors. Wow! 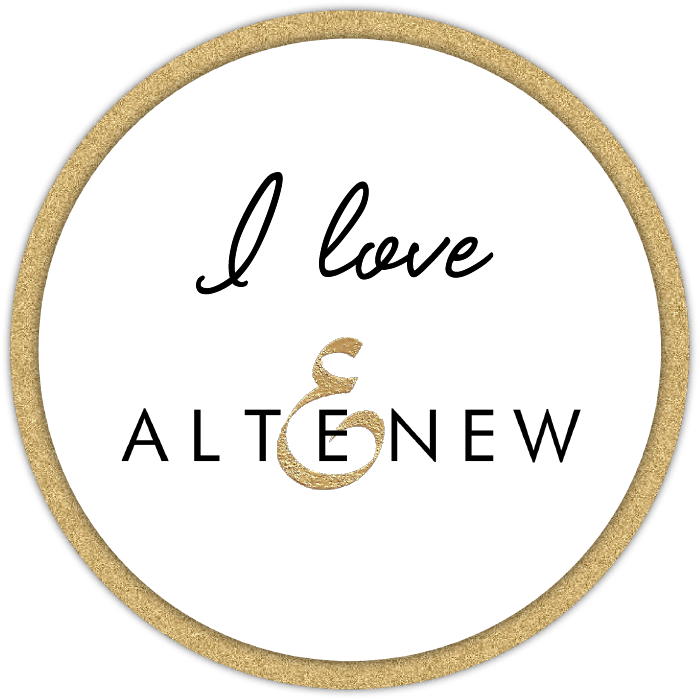 Every part of the Altenew design team has outdone themselves. So much inspiration. Thank you all so much. Stunning job , this card is amazing ! 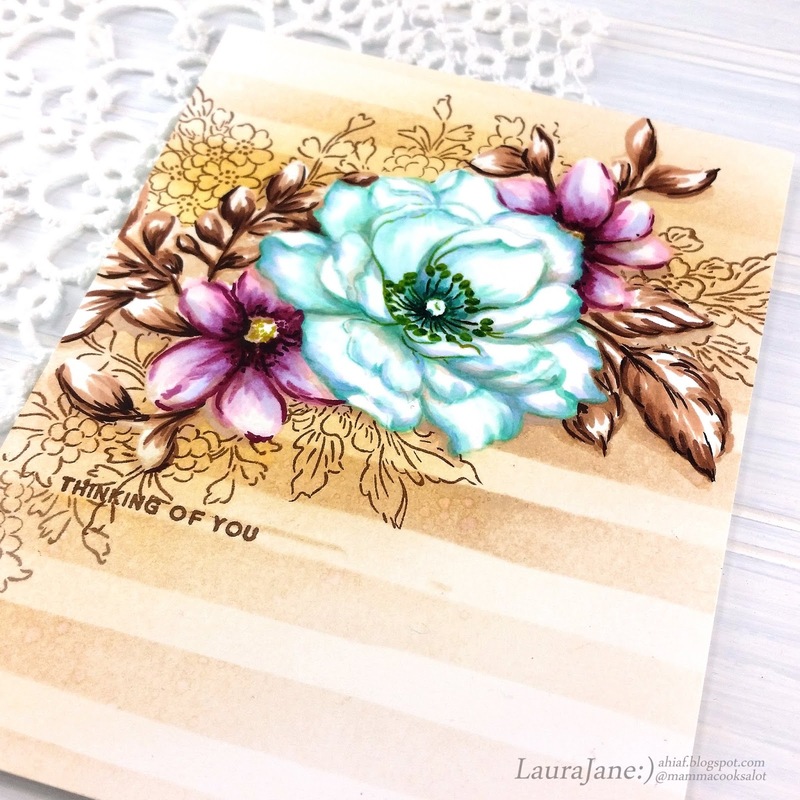 Oh my goodness your cards are amazing, Laura Jane! Thanks for making a video showing us how you made that awesome wood background! The colors are so beautiful and the coloring looks stunning!! Thinking of you card is y favorite. great cards! You never disappoint! Your cards are all so lovely! Wow! Cards are just gorgeous! Especially love the card with the Beautiful Day flower. 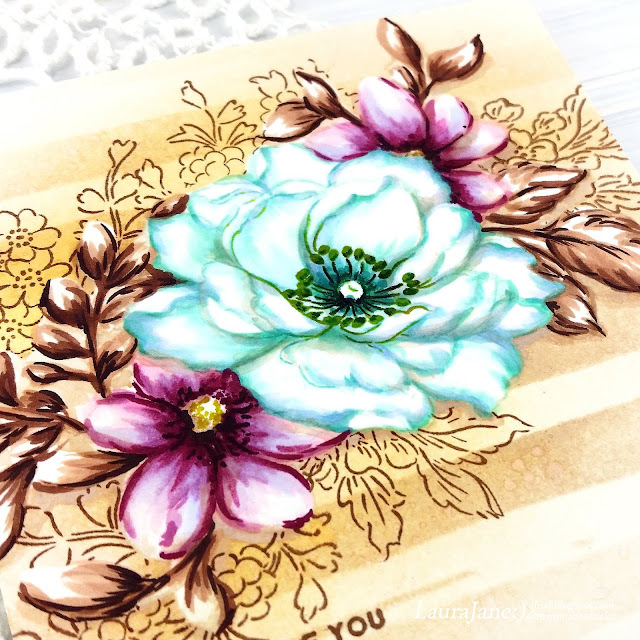 The Beautiful Day stamp set is one of my all time floral favorites that you used on your card that caught my attention. Your colors are so vibrant on the flowers with the wood grain background looking very realistic. Thanks for sharing with us this card!! Wonderful cards. Love the shiplap. There all so beautiful and vibrant. Soooo PRETTY!!!! I love your cards! They are awesome! Your cards are absolutely gorgeous. I love how you colored the shiplap for your background on your first and second cards. It is fabulous. I could watch your videos for hours. You are a very clever designer. I want to thank you for sharing your time and talent with us. 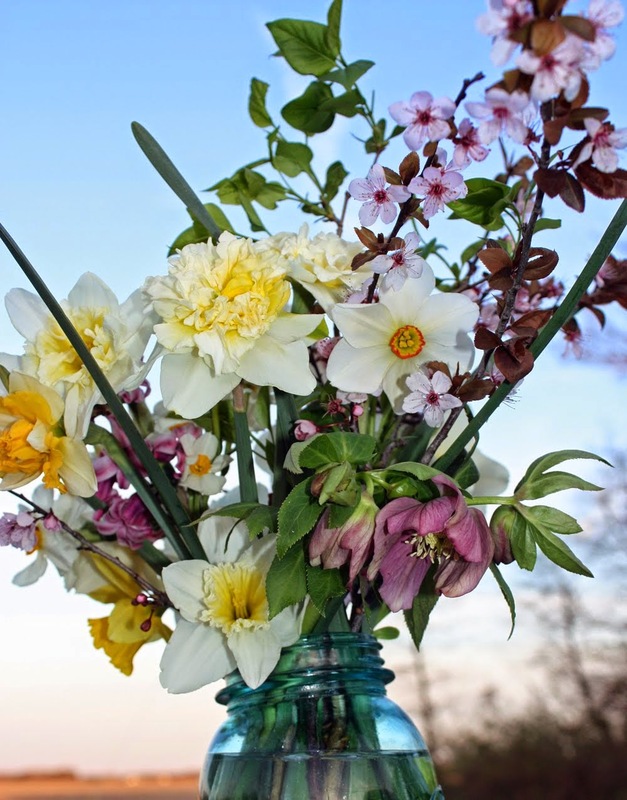 Wow, so pretty, never would have thought to add the shiplap behind the flowers but it is very effective, nice job! Love your cards! Thanks for the video tutorial on the faux shiplap!!! I am excited to give it a try. Wow all your cards are amazing! Especially love the card with the Beautiful Day flower stamp. Thanks for sharing your process video with us. A gorgeous set of cards, Laura Jane! They really do showcase the great new marker colours beautifully! Loe the addition of the wood look! Thanks so much for sharing your great inspiration! I will really have to start googling "compliments for card-makers", as I am out of mine for you! Your talent and creativity will never cease to amaze me! Another set of mini pieces of art (and mini only due to the size!). That last card.. oooooh my! Oh my this is so realistic looking on the wood grain. Your cards are all so lovely. I love the way you left a lot of the flower white. I think it looks fabulous. The tinges of the teal on the flower are gorgeous. Beautiful!! Love love love it!! Your cards are simply marvelous. Thank you for your inspiration, it is greatly appreciated. Wow!! Such a fabulous set of cards!! The wood-grain background you created is amazing! Thank you for sharing the process in a video. I love the offset die cut shadow. That's so creative! Your coloring is beautiful. Just LOVE that shiplap background you created. It looks amazing!! Wow! So many lovely cards! 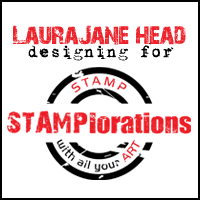 These colors and your coloring along with these stamps are quite wonderful! Thanks so much for sharing! WOW! Those backgrounds are fantastic! Great cards. I love all of your cards! I enjoyed watching your video on the shiplap technique and plan on trying it. Your last card is stunning! Wow, your talent and creativity never disappoint - STUNNING! Wow! The shiplap background looks amazing! And I love your inspiration cards. They are all so beautiful! Wow, Laura Jane! Amazing cards! Loving the shiplap technique for a dramatic look with these markets! Love the new colors! On my Wish List! Totally loved watching you create that easy woodgrain look on You Tube......but they I came back here and saw the green woodgrain. Oh, be still my heart! Love it! I also totally love the big white embossed words on it! your other cards are also delightful....going to try your flower techniques. Thanks for your ever inspiring ideas! Beautiful cards Laura Jane! I love the shiplap background technique - I think you nailed it! I really love the last card you made using Beautiful Day - the flower is so striking in mostly white! Beautiful cards! I love the colors, design and details! I bet you had fun creating these! Wow! All of your cards are awesome! Thanks for shring how to do the wooden fence. Yours are great, even the greenish one looks great! I do love how your roses turned out using the colorless blender. Gorgeous cards! I love the shiplap look, thanks so much for showing the technique. Joanna would be proud of your different shiplaps! I especially luv the last wood panel card! so rich looking! The wood backgrounds are amazing! I didn't even realize the teal card was made with the same technique. 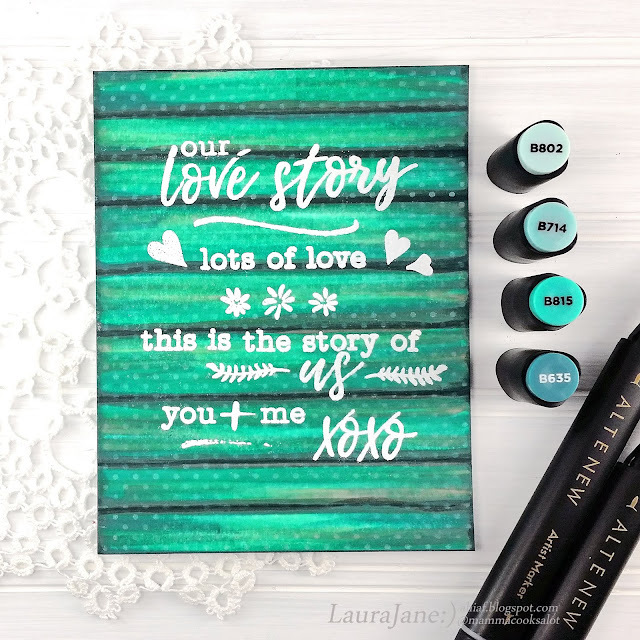 Your last card, using the Beautiful Day stamp set, is gorgeous! Such beautiful cards! I love your backgrounds! Wow! These are gorgeous! Thanks for the video about the wood panel-very cool technique. Your coloring is fabulous and all of your cards look amazing! Nice cards, I love the last one! Amazing cards! And your video is great. Thanks for showing us how to do that. I would love to see a video on the last card. I love all the white. Beautiful work!Thanks for the chance to win. Phenomenal cards that you have created here! 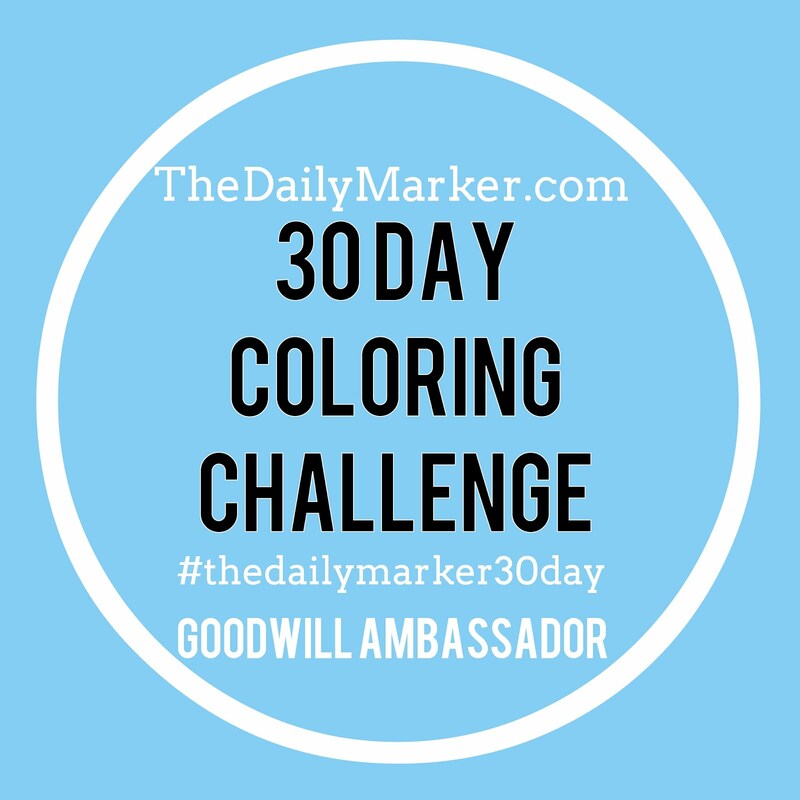 I think my favorite is the one you did for the 30 day coloring challenge! But the green/teal on green/teal wall sign is a close second! Spectacular! Truly amazing work you have here! So pretty! I can’t wait for my order!